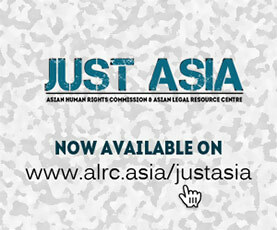 The Asian Human Rights Commission (AHRC) has received updated information from the Commission for the Disappeared and Victims of Violence (KontraS), a national human rights organization, regarding the case of torture and death of Mr. Isak Dewayekua (23), an indigenous Papuan. Army personnel of Yonif 755/Yalet unlawfully arrested and detained Isak and tortured him to death in Kimaam, Merauke Regency, Papua Province. The investigation has taken a long time with little progress. Moreover, the case submitted before the military court lacks all the facts and there are concerns at the low standards of justice applied by the military investigators and prosecutors. According to the information received by the AHRC, the trial into the death by torture of Isak is being held at the Military Court III-19, Jayapura. In the first hearing, the military prosecutors submitted the indictment of alleged torture committed by army personnel of Yonif 755/Yalet, First Sergeant La Dili Wance (Vice Commaner of Military Post of Kimaam Satgas Pamrahwan), Abiatar Harri Katoar and Fredrik Pattiasina (personnel at the Kimaam Military Post Kimaam Satgas Pamrahwan). So far, the investigation process of the case has taken a very long time; since November 2017 the Military Police of Merauke (POMDAM Merauke) has conducted its investigation, and in December 2017 the case was submitted to the Military Police of Cendrawasih (Provincial level of Papua). The investigation process went on for nearly one year, and in July 2018 the case finally went for trial before the Military Court, with a lack of facts and witnesses. According to KontraS, there are serious gaps and differences between their investigation results and that of the Military Police. For instance, the military police investigator did not examine all the witnesses. Also, in the police’s chronology of the case, there are several missing facts. Furthermore, the police investigators also avoided applying any charge of sexual harassment, despite one of the alleged perpetrators, Abiatar, having tried to persuade Isak’s younger sister for sexual favours. Please write to the authorities listed below and ask them to ensure that the judges of the Military Court III-19, Jayapura seriously investigate and examine all the facts of the case relating to Isak’s death. The judges must actively uncover the facts and reconstruct the case, and develop a standard of justice in line with the International Convention against Torture and Other Cruel, Inhuman or Degrading Treatment or Punishment, to which Indonesia is a State party. Further, the judges must ensure that the trial process is held under fair trial principles. The Judicial Commission must actively monitor the trial process to ensure that the family has access to the court and adequate remedies. The AHRC will write a separate letter to the UN Special Rapporteur on Extra-judicial, Summary, or Arbitrary Executions and the Special Rapporteur on Torture and Other Cruel, Inhuman or Degrading Treatment or Punishment, calling for their intervention into this matter. I am writing to voice my deep concern regarding the case of torture and death of Mr. Isak Dewayekua (23), an indigenous Papuan. Army personnel of Yonif 755/Yalet unlawfully arrested and detained Isak and tortured him to death in Kimaam, Merauke Regency, Papua Province. The investigation has taken a long time with little progress. Moreover, the case submitted before the military court lacks all the facts and there are concerns at the low standards of justice applied by the military investigators and prosecutors. Therefore, I respectfully request you to ensure that the judges of the Military Court III-19, Jayapura seriously investigate and examine all the facts of the case relating to Isak’s death. The judges must actively uncover the facts and reconstruct the case, and develop a standard of justice in line with the International Convention against Torture and Other Cruel, Inhuman or Degrading Treatment or Punishment, to which Indonesia is a State party. Further, the judges must ensure that the trial process is held under fair trial principles. The Judicial Commission must actively monitor the trial process to ensure that the family has access to the court and adequate remedies.